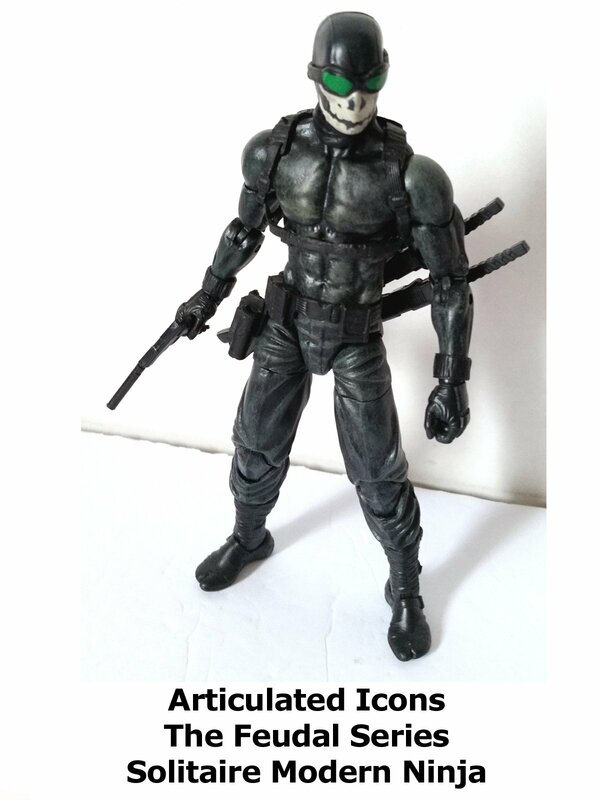 This is a review on the Articulated Icons the Feudal Series Solitaire the Modern Ninja. It is a 6" inch scale action figure toy. Made by a new independent company called The Fwoosh. Solitaire is well sculpted and highly articulated. A high quality action figure good for any collection.